Zend framework has become one of the most popular PHP framework. It is regarded as one of the best MVCs in the market. As the world moving faster on web applications, Zend provides end to end solution which helps to create web apps faster. 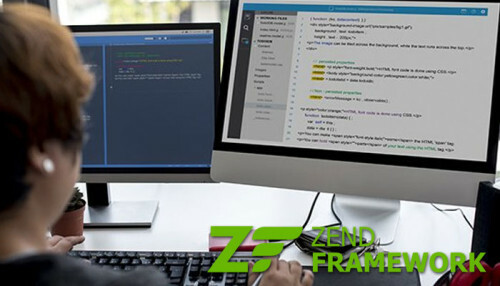 Zend framework has the ability to provide programming flexibility to developers and enable them to implement the required features without making any glitches. Zend Web Development services: We are expertise in providing high performing PHP applications using Zend Framework. We deliver easy to use, high quality, affordable, and end-to-end customized Zend web development services for your business goals. Zend Enterprise Web Applications: Our expert Zend developers provide comprehensive, robust and highly scalable Zend solutions for your Enterprises. We maintain transparency and high level of performance for complex or advanced enterprise applications. Rich Internet Applications (RIA): Web 2.0, being the future of web application development, our Zend experts build Rich Internet Application with PHP. We deploy the application and make its running easier which was never ever before. Zend Website Upgradation and Migration: We migrate your existing Zend website developed by ZF-1 to the latest version Zend Framework 2 and keep your website updated and free from bugs and errors for smooth running and functionality. Zend Maintenance & Support services: Our Zend maintenance and support services ease you to concentrate on business for our Zend experts keep track of bug fixes, security patches and maintenance releases that may impact your PHP applications. We render 24 hours professional support. Custom Zend Development: The Zend Framework enables us to develop high-end, secure, and affordable solutions and thus we provide smart CMS, e-commerce and customized application development solution. We customize and meet the needs as per your business value and strategy. Database Application Development Services: Manage your business’ critical information with an ease with highly effective database applications developed by OdiTek. Zend Ecommerce Solutions: Get more secure, reliable and modern E-commerce solutions in Zend platform only at OdiTek Solutions. Zend Integration Services: Give an incredible boost to plug-in and themes of the website with professional Zend integration services. Our PHP Zend developers are well versed in developing all sorts of applications as per the business needs. We have developed the Zend based applications for various business niches. Our time-tested services with our decades of expertise enable us to serve the clients' needs effectively. The professional team of Zend framework developers at OdiTek provides the user-oriented applications which efficiently meet both the quality and functionality measures. Our dedicated approach towards robust and interactive application development services have made us the reliable industry player over the years. We always strive to meet the project's deadline along with fulfilling the customized needs of the client and maintaining our strong work ethic as well.